The films and installations of Karina Griffith explore the themes of fear and fantasy, often focusing on how they relate to belonging. 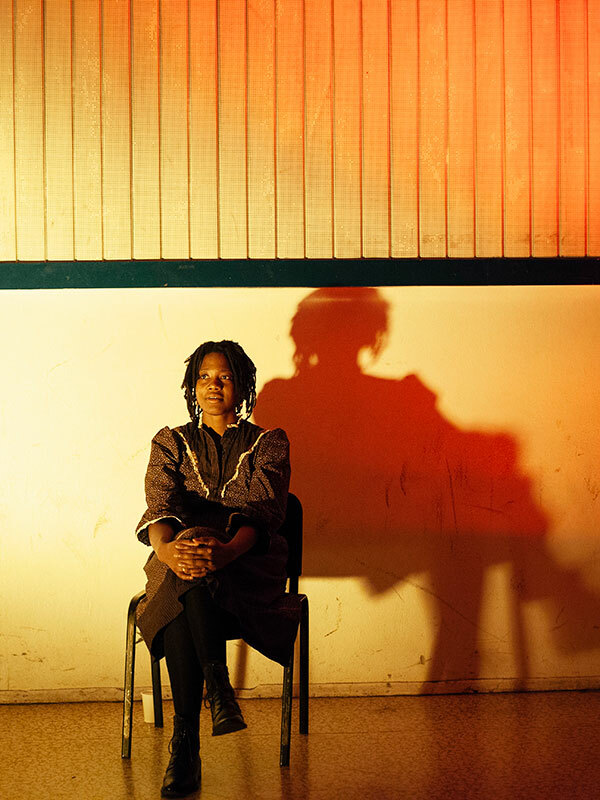 Her interests include exploring the intricacies of identity and the immigrant perspective, while acting as a record of her family’s unique way of Caribbean Patois storytelling. During Ballhaus Naunynstrasse’s Black perspectives festival We Are Tomorrow: Visions and Retrospection on Occasion of the 1884 Berlin Conference, she moderated artist talks and co-facilitated a special edition of the Kiez-Monatsschau together with Amanda Mukasonga and Sebastian Fleary. In 2017, she curated the 3-month long festival Republik Repair: Ten Points, Ten Demands, One Festival of Reporatory Imaginings from Black Berlin. Inspired by CARICOM’s 10 point plan for Reporatory Justice, the festival invited over 100 artists, performers and community leaders to interpret the 10 points through theatre, performance, installation, film and panel discussions and create a living manifesto for Black citizenship in the city. Griffith’s work has been shown at the juried show Emergence 2014: International Artists to Watch at Galerie Mytris, the Normal Null/learn to swim exhibition (curated by Sibylle Hofter and Sven Eggers), Hebbel Am Ufer (with the Trampoline Platform for New Media Art), alpha nova & galerie futura (with Lerato Shadi and Melody Laverne Bettincourt), the Institut für Alles Mögliche (with Bettina Semmer, Patricia Grove and Nine Yamamoto) and has screened at the Lausanne Underground Film & Music Festival, MASHRome Film Festival, the Antimatter Media Arts Festival and the Trinidad and Tobago Film Festival among others. She is a PhD candidate at the University of Toronto’s Cinema Studies Institute where her research on Black authorship in German cinema interacts with theories of affect, intersectionality and creolization. She has written for Women in German Studies’ Special Online Section on Race and Inclusivity, Berlin Art Link and Shadow & Act. Griffith has been invited to presents her moving image work and research at conferences including Gender, Affect, Neoliberalism: The Realist Turn in Contemporary German/European Cinemas (Freie Universität Berlin), Returning the Gaze II: Stories of Resistance (ERIF, University of Innsbruck), Minority Discourses in Germany since 1990: Intersections, Interventions, Interpolations (University of Massachusetts Amherst), and the Film Studies Association of Canada. Her practice has received support from the Canada Council of the Arts and the Saw Video Media Art Centre.